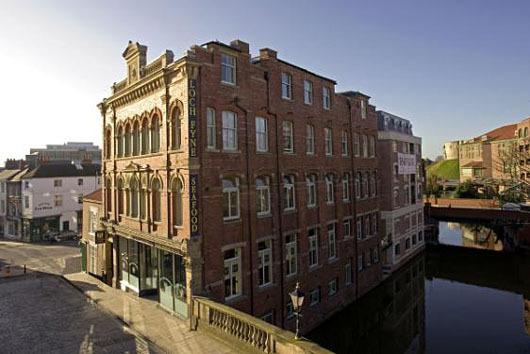 Loch Fyne Seafood Restaurant in York. Reviews. 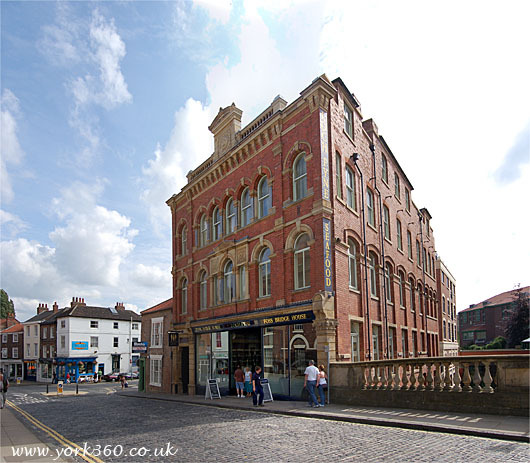 Remember F.R.Stubbs the well known York Ironmongers? Well now this lovely old building is a smart seafood restaurant 'Loch Fyne'. Loch Fyne have fully restored the old building and retained the best period features. Loch Fyne offers the best seafood dishes with quality produce from their mussel and oyster fishery at Loch Fyne, Argyll. The menu includes a wide selection of hot and cold dishes including moule mariniere & lobster bisque, as well as more adventurous dishes like seared tuna with noodles and chili dressing and Loch Fyne Bouillabaisse. 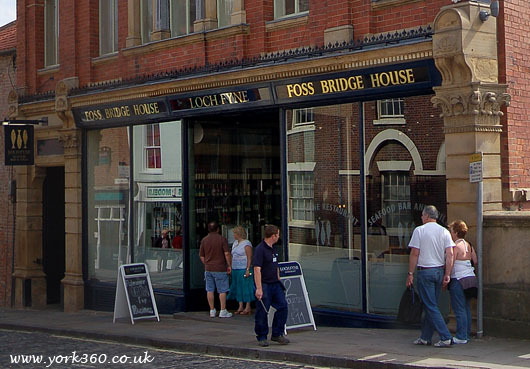 Lock Fyne also have a specials board as well as a number of non-fish dishes catering for vegetarians and meat lovers. The River Foss flows under the bridges next to Loch Fyne.